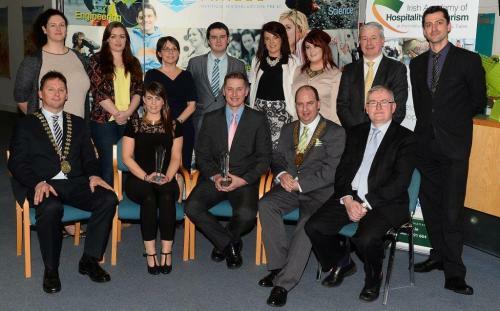 Next generation of Irish Hotel Managers complete their degree in IT, Tralee. 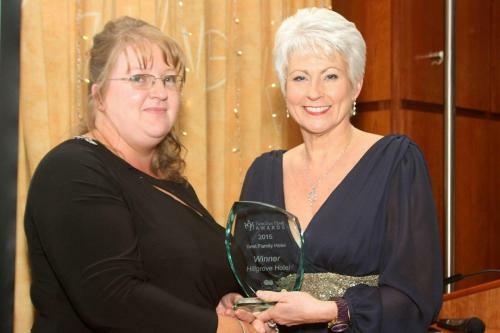 General Manager of the 4 Star Hillgrove Hotel, Leisure & Spa in Monaghan, accepting Best Family Hotel 2015 Award from Awards host, Pamela Ballentine of RTE fame. 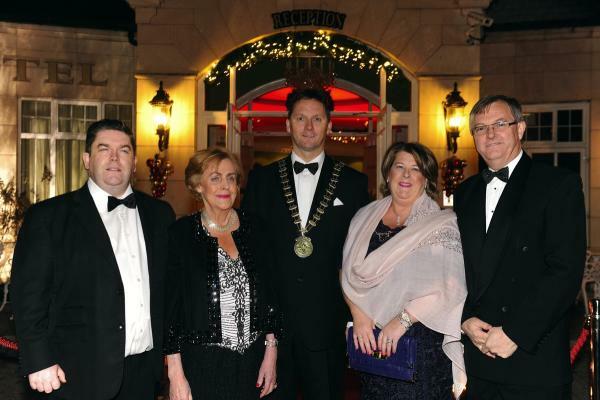 O’Callaghan Hotels in Dublin chosen charity for 2015 is Temple Street Hospital. 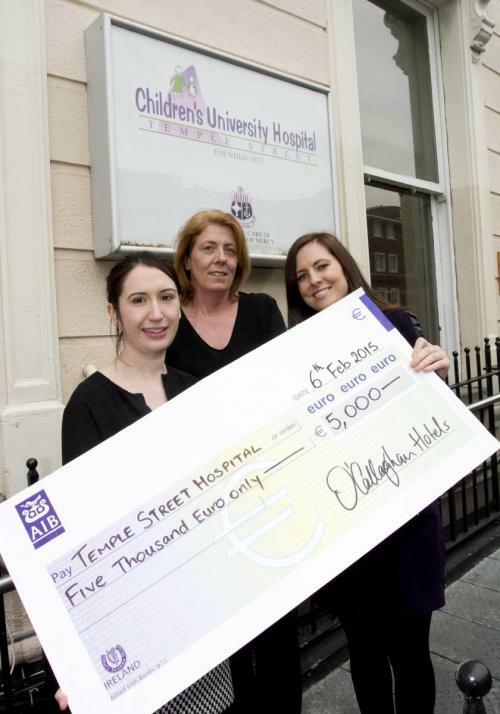 Temple Street Children’s Hospital is O’Callaghan Hotels selected charity for the second year. 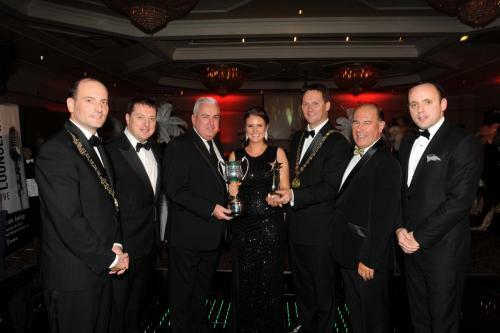 PAUL GALLAGHER GENERAL MANAGER, BUSWELLS HOTEL, DUBLIN WAS ANNOUNCED HOSPITALITY MANAGER OF THE YEAR – HOTEL, AT THE IRISH HOSPITALITY INSTITUTE FOUNDERS’ BANQUET & HOSPITALITY MANAGEMENT AWARDS 2014. 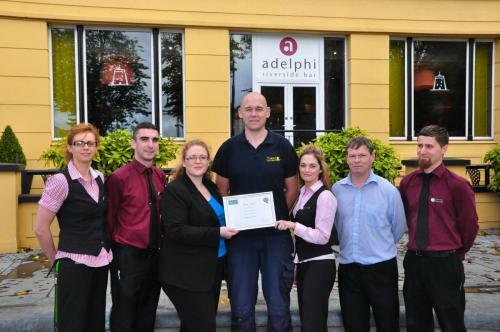 The Tower Hotel and Leisure Centre was delighted to announce that they have been accreddited as an Irish Hotels Federation “Quality Employer”. The Team achieved the accredditation due to their high standards in recruitment, training and development of staff within the hotel industry. Pictured is HR Manager Ellen Reidy with some of the team members receiving their certificate. 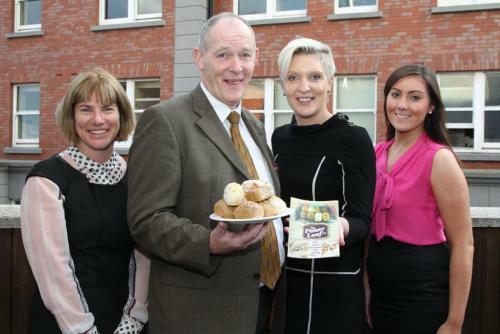 Pictured (l-r) are Maureen Gahan from Bord Bia, Cathal and Louise O'Donohue, The Penny Loaf Co. (winners) and Courtney Radcliffe, Brakes Marketing Manager.